Osterhaus family Christmas gets even more fun each and every year! The cousins absolutely LOVE playing with each other and it's special watching their relationships develop. Lily and Liam have a pretty neat bond. They play so nicely, even with Lily bossing Liam around and Liam ignoring her demands. It's a nice give-and-take relationship, ha. And the two "babies". Ahhh they are such sweet, curious, smiling little men. Definitely not leaving Aynslee out, but poor girl woke up a bit too early in anticipation of Santa, was super tired on Christmas day, and not interested in Aunt Lindsay's camera. (Can't say I blame her!) Lily keeps talking about how much she loves her big cousin Aynslee and can't wait to see her again soon. These two ladies also have a special bond. Lily continues to talk about her sleepover at Grandma's house and how much fun she had (we were also lucky Liam joined in the fun…I think we experienced some record 'sleeps' after those two wore each other out!). 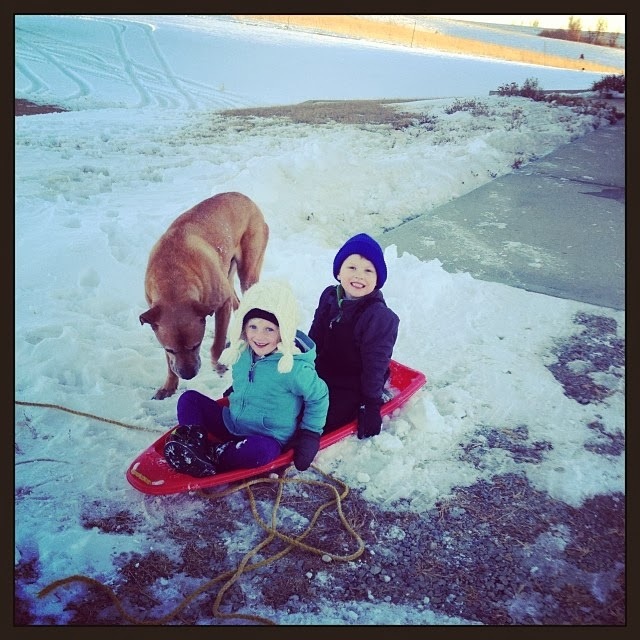 One of Lily's favorite memories from our trip to Kansas was sledding with Grandpa, Liam, William and Daddy. I believe there was a four wheeler and the hood of a car involved but I've learned to not ask questions and instead just enjoy her huge smile! William has some serious attachment issues with Ryan and I. He barely goes to anyone else, with the exception of a few men. When Aunt Mary saw William had fallen asleep on the drive, she swooped in for some snuggles without the normal "drama". We love our Aunt Mary so much and hope she can visit us again in AZ soon!